Waking up to my babies is something I am still getting used to. Arggh, I would love just 5 more min of deep sleep. Then I listen to them in awe as they babble and talk to each other. More sleep is not going to happen, maybe if I just put the cover over my face. Then I hear that word, “mama, mama, mama?” Do they even know what it means? They use it an awful lot. I’m not complaining. I’ve definitely had those “oh she’s saying my name” or “oh she wants me” precious moments. But, they seem to use it for everything and I’m really starting to wonder what it actually means to them? I change them, yes. I feed them, yes. I play with them, yes. I comfort them, yes. I teach them, yes. I guide them, encourage them, help them, yes. I watch their every move, yes – – – well, when I’m not going to the bathroom or doing things moms do when babies sleep… like watch them on the monitor (ha) – or eat/sleep/drink coffee/shower/clean/food prep/relax (kind of). Who was I before children and who is this person that has taken over my body and changed all the rules on me? My social skills are now limited to words that end in y. Dolly, baby, puppy, yummy, yucky, ouchy, silly… or phrases that contain the word little. “Let’s read this little book”, “how’s my little munchkin?”, “is that a little ducky?”, “how much is this little shirt, ma’am?”. Honestly, I don’t even think about it, it just falls out of my mouth. However, I’m now realizing that I need to be careful around my tiny mimes, or they will end up sounding like their “little mommy”! It is cute though. Hearing any words come out of your child’s mouth is cute. Isn’t it? So cute, it’s worth a series of videos with invisible parents loudly whispering “that new word” in the background while actually only capturing sweet shy smiles and giggles, until take ten when they whisper the word back and you realize much later you can barely hear them. But lately, “mama, mama, mama…” has caused me to raise some questions that I may never know the answers to. Are they asking for me? Telling me something? Requesting my attention? Expressing to the world that they know me?! Or is it just a word that equals EVERYTHING. I’ve never felt so wanted. Yet, I’m noticing it’s more than that. MAMA has become more than a name. It’s a desire, a demand, an expression of excitement and an exclamation of anger. It’s the words to a song or a story. It’s whatever they want it to be and I go with it! Oh, I gotta run. 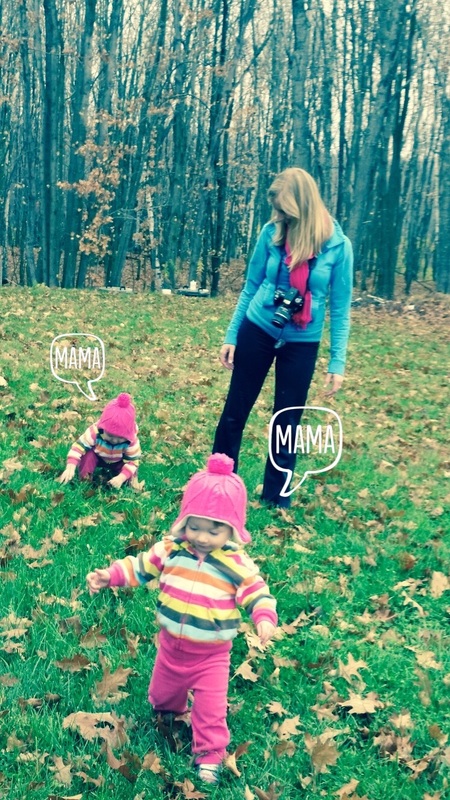 I have two girls yelling “mama” over and over again… or maybe they’re just chatting about me. Cute, how sweet of them!! Shan! I love this. I can actually hear you saying, “Cute, how sweet of them”.